This weekend Vita competed at the NEA Finland with a mix team. The stage race started Friday with a prologue of 2.6km on a non-technical course. Vita finished in 5th, 7 seconds down of winner, and teammate for the weekend, Sari Saarelainen (S.C. Michela Fanini Rox). Saturday was a double stage day, starting with a 10km time trial in rolling terrain. 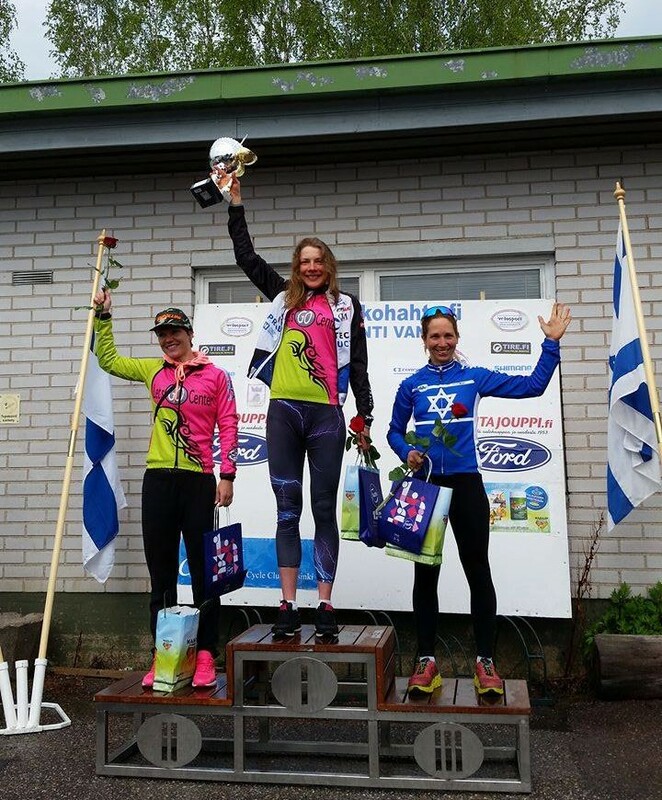 Vita showed her strength and won the TT 11 seconds ahead of Saarelainen in 2nd place and could also dress up in the yellow leaders’ jersey for next stage. In the road race later in the day the weather was putting on an extra challenge for the girls with lots of rain. The competitors, especially the Spanish national team, attacked the entire race but nothing got away. In the final Vita went for a long sprint on the sloped finish, but got passed by Pia Pensaari (Finland) just as they crossed the line. With the 2nd place she secured four bonus seconds and also made sure to keep the leaders jersey for another day. The last stage was a 10.5km loop including a rough punchy climb of 800m with maximum incline of 15% to be encountered nine times. Vita did not feel to certain that her lead was secure and made sure to collect bonus seconds in the intermediate sprints. Again a lot of attacks was made forcing Vita to work. 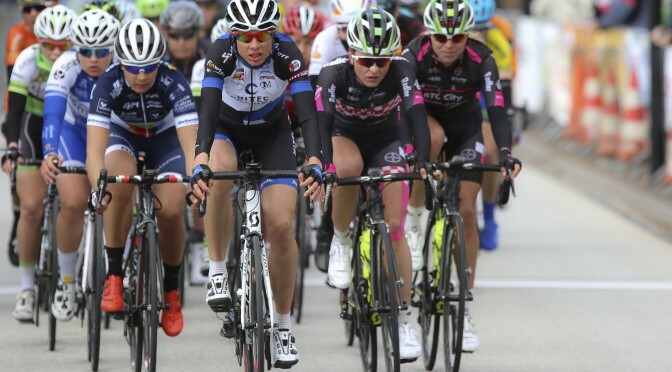 As they approached the final climb it was all together and at the top Vita proved the strongest collecting her second stage win ahead of Anna Sanchis (Wiggle High5) and Flavia Oliveira (Lensworld-Zannata). 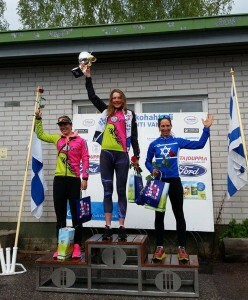 She could also celebrate taking home the overall ahead of Saarelainen in second and Shani Block (Israel) in third.